"In an alternate universe where the time limit for Klik of the Month Klub keep getting decreased after the 89th one. One guy has the brave task of submiting games right in time for the event..."
You must program and submit games for the Klik of the Month Klub events, starting from the 88th one (Before the time was getting halved). You will have a certain amount of minutes to finish creating your game, (which, in your mad game design rush, i'll fell like mere seconds). When you're on the game screen, just press ANY KEY (besides enter) in your keyboard to make the game, the more complete the game feels, the more Awesome Points you will get for it. Once you're done, press ENTER to submit it to the event. 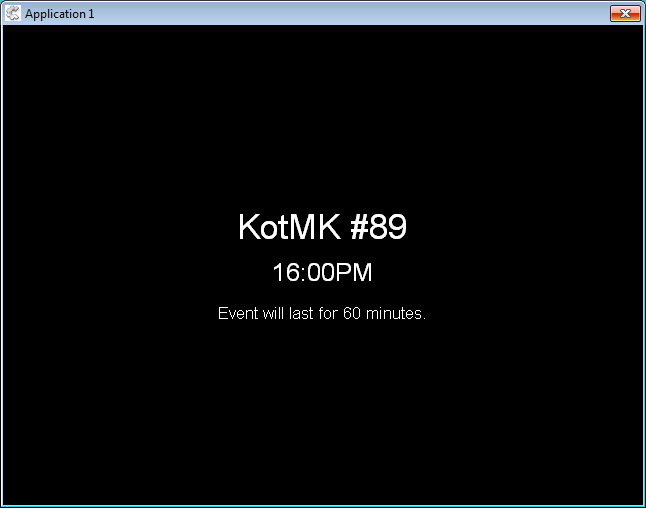 Be sure to do this before the time runs out, and you will be able to participate on the next KotMK event. 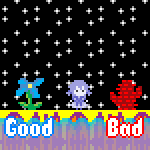 When you're not on the main game screen, the game will move to the next scene automatically. I think this concept has already been made but whatever. Also, i realized after compiling that i used "PM" on a 24 hour format. Let's just roll with it. lol Clever use of the theme. This is like some inner glorioustrainwrecks political art. Social commentary. This reminds me of how kids will come over and go through the more obvious motions of their parents who are actually doing something like accounting. And the kid will get more extreme in their movements to emphasize how well they are doing the accounting or whatever. I basically found myself having that exact experience.